The list of India ETF shares offers the possibility to prosper from opportunities in India. The performance of this emerging market over the past few years signals that this particular country presents a good etf investment opportunity. All traders and investors can participate: you can make your decisions based on a global macro fundamental approach or even,if you prefer, technically based strategies. So what are ways to invest in India for the individual investor? It can be hard to select individual companies. Currency shares and equity index ETF shares tradable on US stock markets are better choices. They offer exposure to the stock market in India but also to its currency – the Indian rupee. 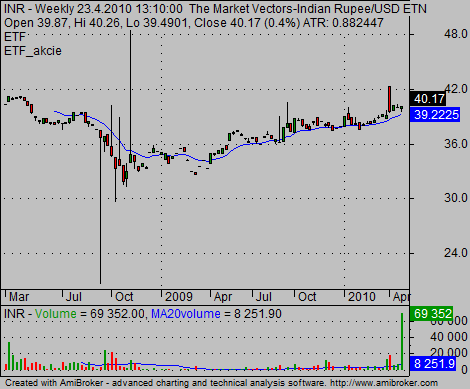 This ETF tracks Indian companies as described in Indus India index. ETF – namely ETN tracks top companies by market capitalization listed on the National Stock Exchange of India. I personally prefer to trade PIN to INP, as it has a little bit better trading behavior. It is also easier to implement my risk management techniques and especially my stop loss orders on this exchange traded fund. 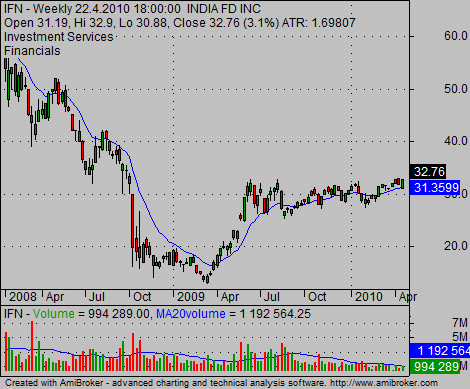 IFN … India Fund, Inc.
All these shares are part of an even bigger sub-group of emerging markets ETFs and major International ETFs group. I personally monitor, analyze and trade them in my ETF trading strategies. 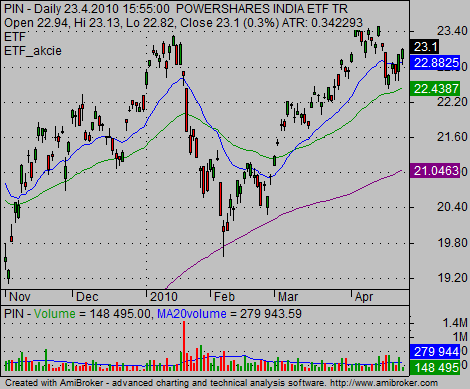 My preferred method of stock chart analysis of these emerging market ETF shares is to use relative strength analysis. 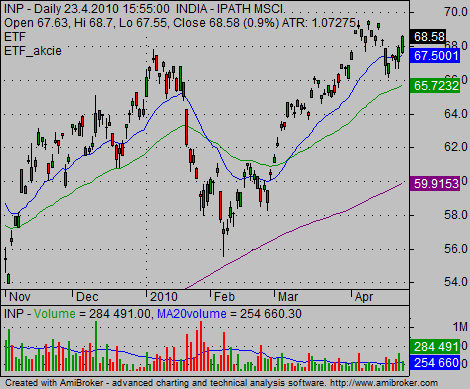 I compare charts of India’s funds with global emerging market funds – EEM – and then with other emerging market ETF shares. 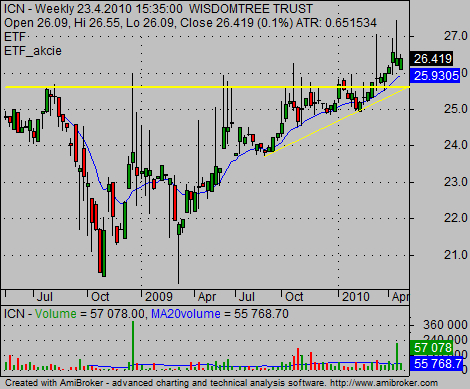 I like to see relative strength for long trade idea or relative weakness for short sell trade ideas.